Basal body temperature charting is actually amazing. I think it’s the coolest thing ever. I mean, how many people do you know who can tell you exactly when they ovulated? Or can tell you to the day when their period is coming if they’re not on the pill? 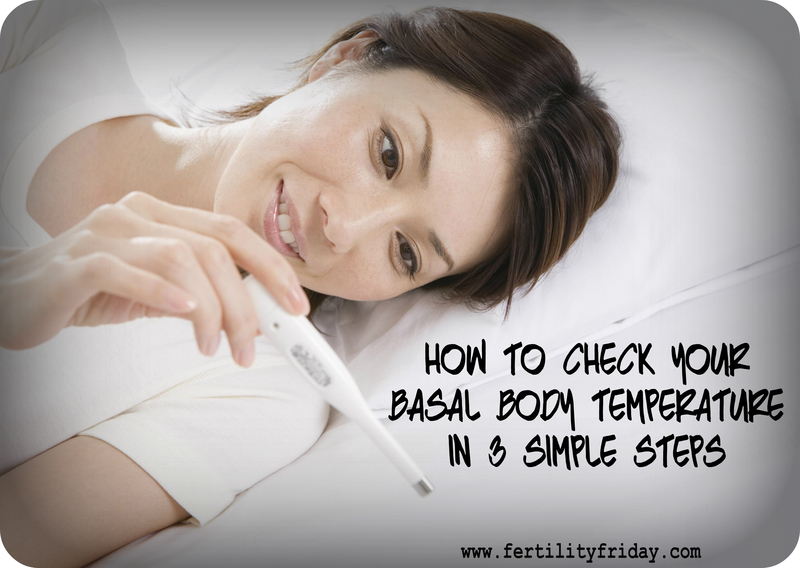 What is basal body temperature? And why does it matter? Basal body temperature is a measure of your resting metabolism. For women, our metabolism changes after we ovulate. Our resting body temperature actually increases after ovulation as our bodies prepare for pregnancy. If you take your temperature each morning before you get out of bed and record it, you’ll notice an obvious shift in your temperatures after your ovulate. This happens because of hormonal changes. After you ovulate, your ovaries produce progesterone, and progesterone causes your body temperature to rise in your post-ovulatory phase. In order to get an accurate basal body temperature reading you’ll need a thermometer that measures your temperature to a 10th of a degree (i.e. 97.3 F or 37.4 C). You don’t need a fancy thermometer to do this, so don’t overthink it! Unfortunately many people still believe that basal body temperature changes will help a woman to predict when she’ll ovulate. The temperature shift can only happen after a woman ovulates so it doesn’t predict anything. But a woman can use her temperature shift to confirm that she ovulated, to accurately identify her due date, and to pinpoint when her period will come. You’ll need at least 5 hours of consecutive sleep so that your body can “reset” itself back to it’s resting metabolic rate. If you jump out of bed and go to the bathroom before you take your temperature that could change the reading. This is one that most people don’t know. Those cool digital thermometers beep so quickly. They’ll give you a temperature reading within 15 seconds, but if you take your temperature 3 times in a row you’ll probably get 3 different temperatures. This is because your thermometer has to be in place long enough to give an accurate reading of your temperature. Many people take this to the extreme. I don’t think you have to go overboard here. It does matter when you take your temperatures. Your temperatures rises about a half a degree for every additional hour of sleep that you get, so it does matter when you take your temperature. However if you take your temperatures around the same time each day within about an hour or so, that’s good enough. If you get up much later or earlier one morning, still take your temperature and make a note of what time you got up. This will help you interpret your temperature chart later on. How do I know if I ovulated? A general guideline is that if you have 3 temperatures that are higher than your previous 6 temperatures that means you’ve ovulated. Your temperature shift will be obvious. You’ll be able to see two sets of temperatures, your low pre-ovulatory temperatures and your high post-ovulatory temperatures. If your temperatures are all over the place and you don’t see a clear shift you probably didn’t ovulate. So hang in there and keep tracking your temperatures until you see a clear temperature shift! Now I want to hear from you! Have you ever taken your basal body temperature in the morning? What are your tips for getting an accurate BBT reading? What is your favorite thermometer? Join the conversation in the comments below! I work two night shifts a week. How can this affect my charting? Hi Lauren, if you work night shifts, you can still take your temperature after 5 consecutive hours of sleep. You may notice that your temperatures are more erratic, so even more reason to follow the steps outlined above to get an accurate temperature! If we don’t have ten minutes to lay in bed with a thermometer in our mouth (active mornings with a toddler), what other methods can we use? Is the armpit an option? You can leave it for as long as you have. Many women are turning to devices that measure average sleep temperature (temp drop, ava) for that reason. You may also have to rely on your cervical mucus when your temperatures aren’t readable.